The Maaaaa of Pricilla: Oh Snow! We are right in the middle of a BIG winter storm. I am NOT a happy goat. You can see I am wearing my goat-ure again. It is indeed cold once more. I would really like it to be warm and sunny again. Instead of being a goatsicle. Rudy feels the same way. The publicist says that we are supposed to have anywhere from 12 - 18" of snow by tomorrow. THAT WOULD BURY POOR BERNADETTE! We do not want to lose her in the snow. I can maaaa to you that we were ALL happy to go up to the barn today. The publicist gave us all nice hot water to drink, fresh hay to eat and APPLES! She is so good to us. She even brushed all of the snow off of our backs. 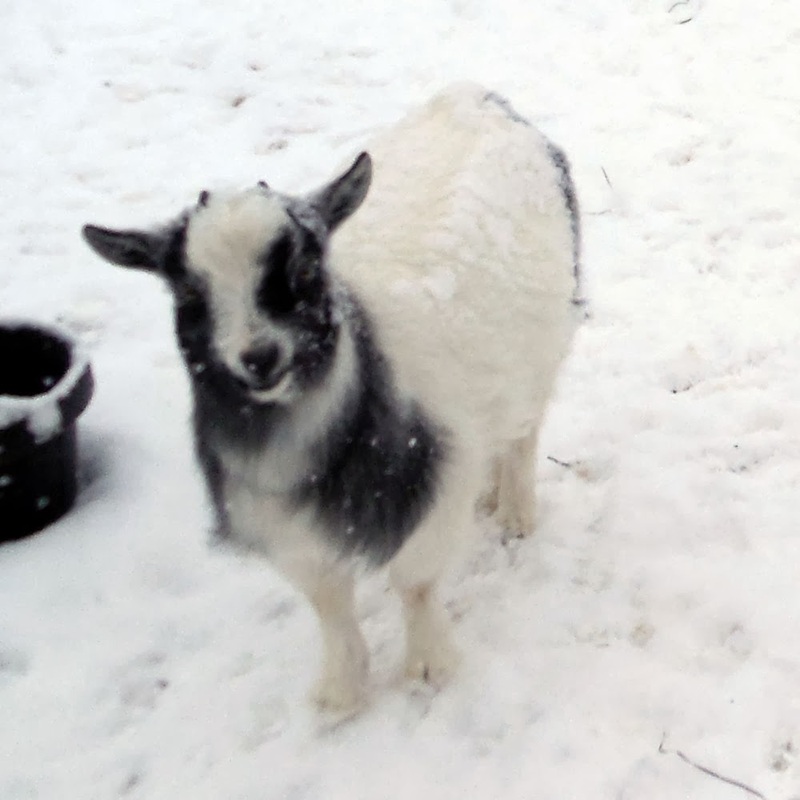 I had a LOT of snow on my goat-ure. Then the male person went to work. I can only maaaa that he made a LOT of noise. But the publicist said he had fun playing with his green and yellow toy.